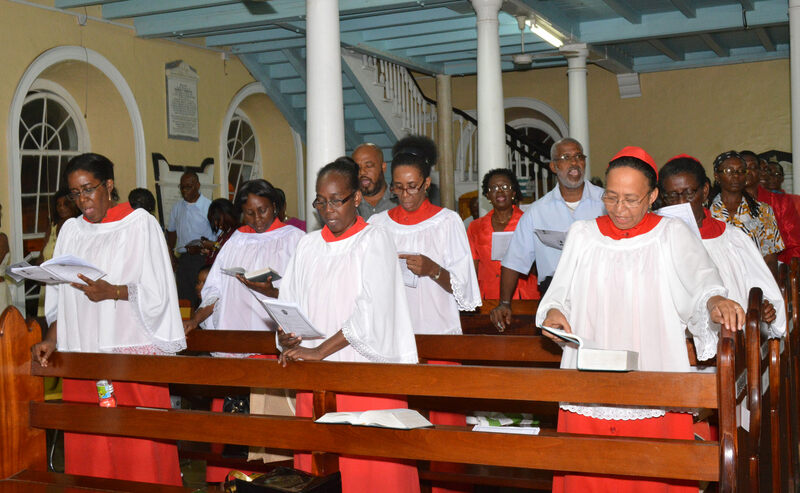 The Anglican Diocese of the Windward Islands is one of eight dioceses within the Province of the West Indies. 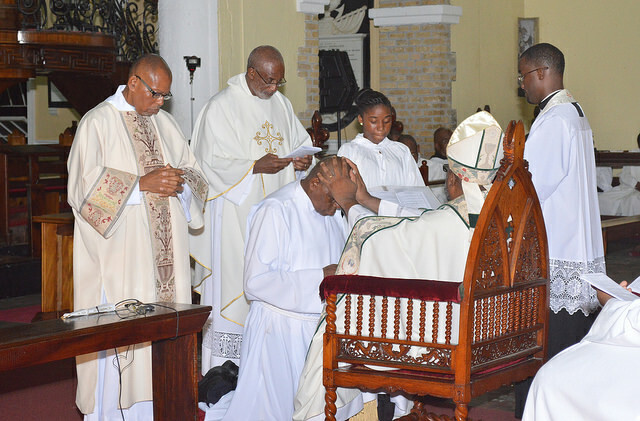 The current bishop is Leopold Friday. 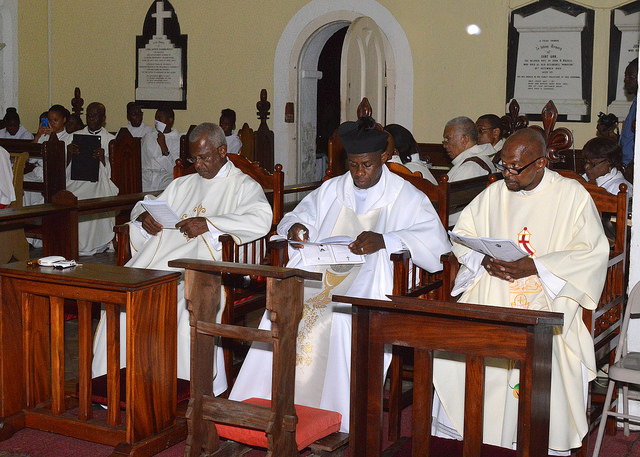 The diocese was established on 8 November 1877 from the islands of St Vincent and the Grenadines, Grenada and Tobago. 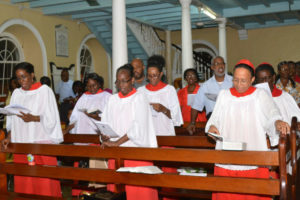 Tobago transferred to the Diocese of Trinidad in 1889 when those two islands were joined together politically and St Lucia joined the Windward Islands diocese in 1899. The new diocese shared a bishop with Barbados until 1927, when the retiring Bishop of Barbados, Alfred Berkeley, was elected as the first full-time Bishop of the Windward Isles. 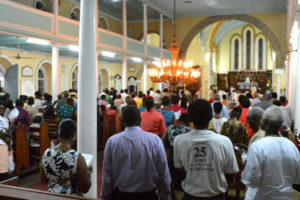 The Cathedral Church of the see is St George’s Cathedral in Kingstown, St Vincent. 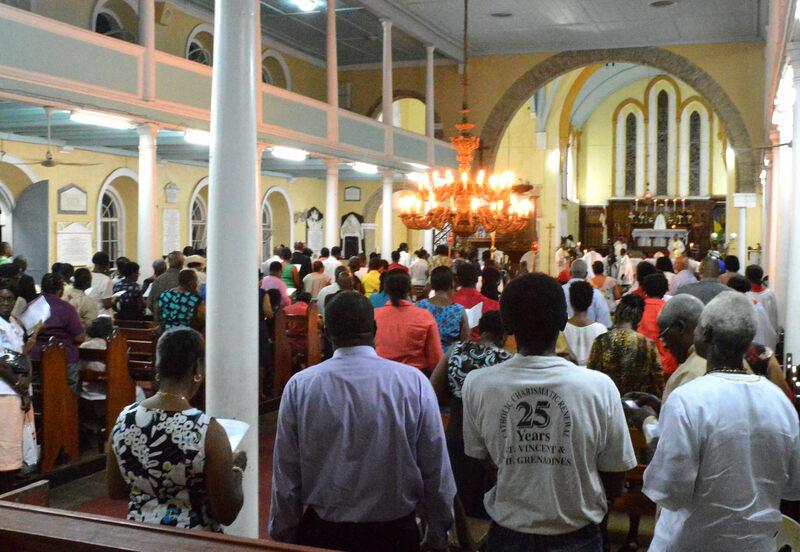 Other Dioceses were formed in the West Indies in the 19th century. Antigua and Guiana, 1842; Nassau and the Bahamas, 1861; Trinidad and Tobago, 1872; Windward Islands, 1878; Honduras (now Belize), 1891. The Province of the West Indies came into being in 1883. 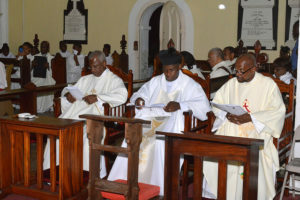 In 1895 the provincial Synod, meeting in Guiana, decided that the Primate of the Province be designated Archbishop but the formal adoption and promulgation of the title was deferred until the next Lambeth Conference (1897). The Diocese of Venezuela was founded in 1975 and remained part of the Province of the W.I. until 1980.